As most of you know, I recently did an epic hour-long video interview with director Guillermo del Toro, and every day this week I’m posting part of it. 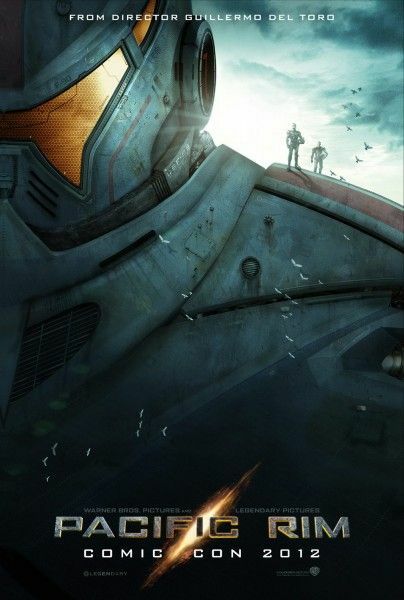 On Monday del Toro talked about Pacific Rim‘s Comic-Con presentation, Legendary Pictures, collaborating with Thomas Tull, and more. Yesterday, he talked about why they didn’t shoot in 3D, why it won’t be post converted, why they used the RED EPIC, how the film is currently a little more than two hours and he revealed that the Blu-ray will have over thirty minutes of deleted scenes. For today’s installment, del Toro explains why he wanted an international cast (he didn’t want just one country and one race saving the planet), the different robots (Jaegers) and monsters (Kaiju) that will be in the film, how a huge nighttime battle in the rain takes place in Hong Kong, the amount of robots and monsters they designed, and more. Hit the jump to watch and check back tomorrow for more with del Toro! Talks about putting together an international cast. Explains that he didn’t want one country saving the Earth. He wanted someone from every race, color and creed working together to save the planet. 2:30 – Talks about the different robots and monsters in the film. Says they designed six Jaegers (robots) and they’re in the film in one way or another. Goes on to say that four of them are featured and they’re Russian, Chinese, American and Australian. Says they designed ten of the monsters (Kaiju) but not all of them appear in the action. About seven or eight of them are in the action. 3:55 – Did he specifically want Jaegers from China so the movie would play better in that country? Says he wanted a battle in a city that was lit by florescent neon in the rain. He decided on Hong Kong. He also talks about how the movie is about the resistance and it’s the end of the war. Hong Kong is one of the last outposts. 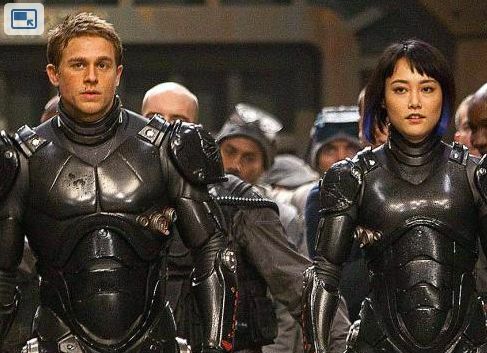 5:00 – Does he ever take a step back and think about how lucky he is to have gotten to make Pacific Rim?